The conference will start at 8:30 a.m. and conclude at 3 p.m. It will be held in the Student Union, 600 McKinley Street. It is being sponsored by UL Lafayette, Cox Communications and South Louisiana Community College. “ Last year’s conference was such a success, we knew the day of the conference we had to have another one…and step it up to keep it fresh and exciting,” said organizer Dr. Jennifer Jackson, executive director of UL Lafayette’s Office for Campus Diversity. The cost is $25 for online registration or $30 for onsite registration. This includes all conference materials, a full continental breakfast and lunch. Student registration is $10 with current I.D. The event will feature several session presenters as well as former Louisiana Governor Kathleen Blanco as the keynote speaker and Federal Judge Rebecca Doherty as the luncheon speaker. Doherty, federal judge in the U.S. District Court for the Western District, will speak at 11:15 a.m. Blanco, who served as Louisiana’s governor from 2004 – 2008, will speak deliver the keynote address at 2 p.m.
• Save Our Bodies – Valerie Arceneaux-Miniex with Louisiana Oncology Associates. She is a registered nutritionist whose been in practice for 13 years with a focus on gastroenterology nutrition, nutrition therapy and nutrition education. • Save Our Lives – Craig Stansbury with the Lafayette Parish Sheriff’s Office. He is a 25-year veteran of the Lafayette Parish Sheriff’s Office and presently serves as the Lafayette Crime Stoppers coordinator and the Public Information Officer. • Save Our Daughters – Tonya Bolden-Ball, a consultant. She is the project director for a Reduce Alcohol Abuse grant with the school system. She has also worked as a domestic violence client advocate for Faith House and as a shelter supervisor/senior case manager for the Acadiana Outreach Center. • Save Our Assets – Mary Fox Luquette, an economics and finance instructor at UL Lafayette. She teaches various courses in finance, insurance and risk management and also understands the Louisiana Civil Code. • Save Our Stories – Drs. Mary Farmer-Kaiser and Mary Ann Wilson, UL Lafayette faculty members. Farmer-Kaiser, an associate professor of history, is the James D. Wilson/BORSF Memorial Professor in Southern Studies. Wilson is a professor of English. She is the Friends of the Humanities/BORSF Endowed Professor in the Humanities. • Save Our Place – Nora Stelly, an attorney with Allen and Gooch Law Firm in Lafayette. Her primary areas of practice are employment, public entity and civil rights litigation. She frequently provides training for employer groups and managers. • Save Our Rights – Susan Theall, principal attorney with The Theall Firm LLC. She is a family law specialist and is a founding member of the Family Law Section of the Lafayette Parish Bar Association. • Save Our Families – Rev. Ann Sutton, a member of the pastoral staff at Asbury United Methodist Church. She is a former elementary school teacher. • Save Our Spirit – Minister Emma George Jones, founder of Hope Inspired Ministries and The Young Women of Promise Youth Group. 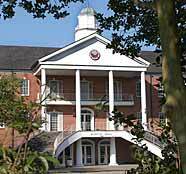 The University of Louisiana at Lafayette is the second largest university in the state, with over 16,000 students. It’s a public institution that awards bachelor’s, master’s and doctoral degrees. It includes diverse offerings from the humanities to scientific research and leads the nation in areas like computer science, biology and nursing. Its student-athletes – Louisiana’s Ragin’ Cajuns – compete in NCAA Division I, the highest level of collegiate competition.